Casual day of research was the theme today. Video below for my day’s recap. I didn’t physically go to stores to look at prices today. Instead, I casually looked online for some potential deals and pricing history for certain items. 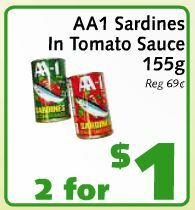 For the can of sardine I was potentially thinking of buying on the last day the cheapest I found was a two for $1 sale. Why is this important? I think you need to have good knowledge on how cheap an item can potentially get for you to better understand if you are paying way too much for something. I know we are all sort of programmed to shop in one place, but many times the prices of individual items are truly outrageous compared to others. That dang peanut butter reared its head in a different fashion today as I did my price research. 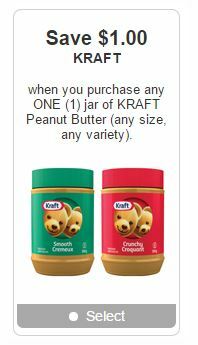 Upon browsing I found this coupon where you could knock $1 off of any size Kraft peanut butter. So literally that means if I knew that deal ahead of time as well as this coupon I could have gotten 1kg of peanut butter for 9 cents. I swear this combo deal specifically showed up this week just to taunt me……. I originally didn’t bother to research too much about coupons as I find they are usually for artificial food items and not fresh groceries. Guess this shows though it’s not that rare to find coupons for purchases that you will be making on the day. All in all, still feeling great and not worried about food supply or money. I did research a bit about poverty issues involving food and how some people are suggesting that instead of raising the rate for welfare recipients we should move into a system involving food stamps. That then led me to read this interesting article about people who used food stamps to buy soda only to then resell it for money to buy other things. Guess that kind of showed that there isn’t a 100% proof solution as there will always be those that take advantage of something designed to help people in need. Something to debate about. Category: 2014 Day 4, 2014 Welfare Food Challenge, 2014 WFC Participant Blog Tags: Alan Y.